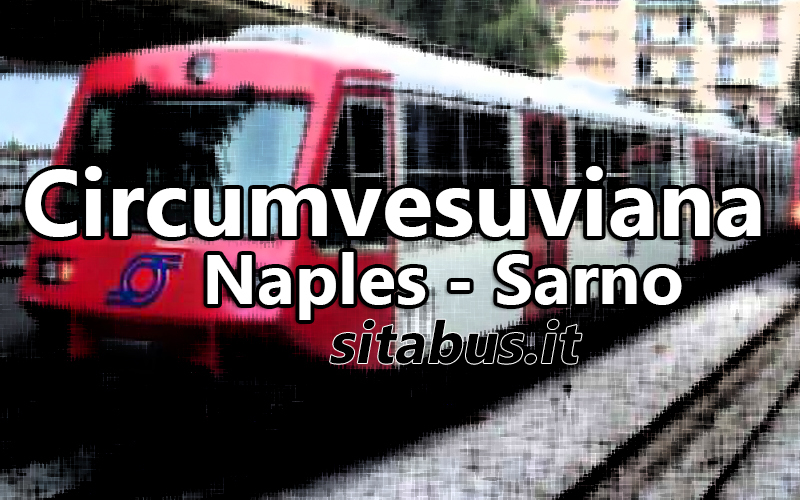 Naples-Ottaviano-Sarno is a railway line of Circumvesuviana. It is manages by Ente Autonomo Volturno. More info and other lines here: Circumvesuviana. The line runs along the slopes of Vesuvius passing through most of the Vesuvian towns innermost side, it appears to be the oldest of its line Circumvesuviana network, before the incorporation of the Naples-Baiano. Download pdf timetables of Naples-Baiano (updated to 19 August 2015). The replacement bus line covers the evening and night hours during which the Circumvesuviana is not active. The rate depends on the route. To know the cost of the various sections refer to EAV or Find your rate.